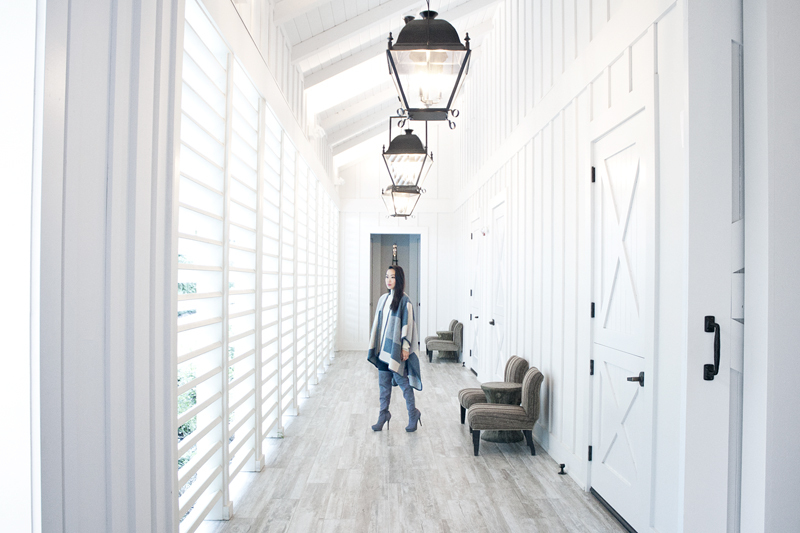 I had just previously wrote about my Sonoma getaway at Farmhouse Inn (you can see the post here) and this is another post to follow. These photos were shot in a stunning building where the spa was located. I just can't get over the all white rustic yet modern decor. One of the reasons why I love wearing neutrals is that it goes with everything, including the location where I photograph, and this is a perfect example. 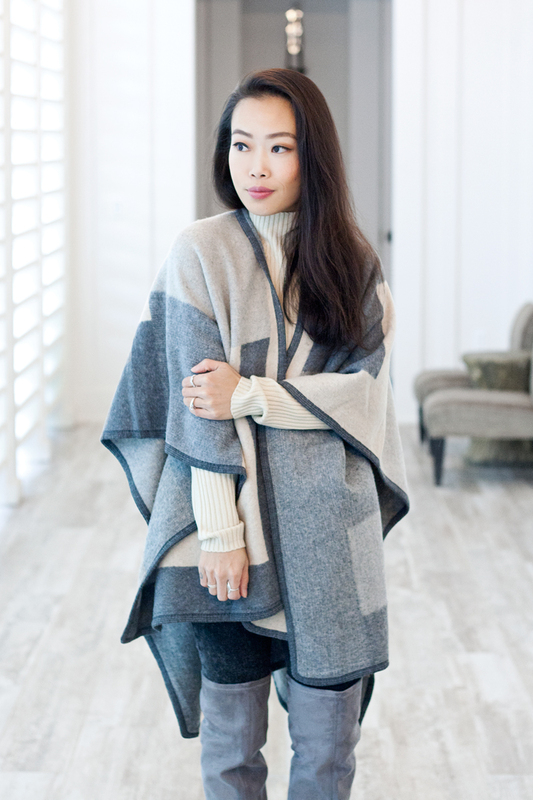 I wore a cream mod neck ribbed knit sweater, black acid wash denim, gray over the knee boots, and this amazing colorblock poncho which tied the whole look together. I must say this grayscale neutral combo was perfect for a day out in the wine country! 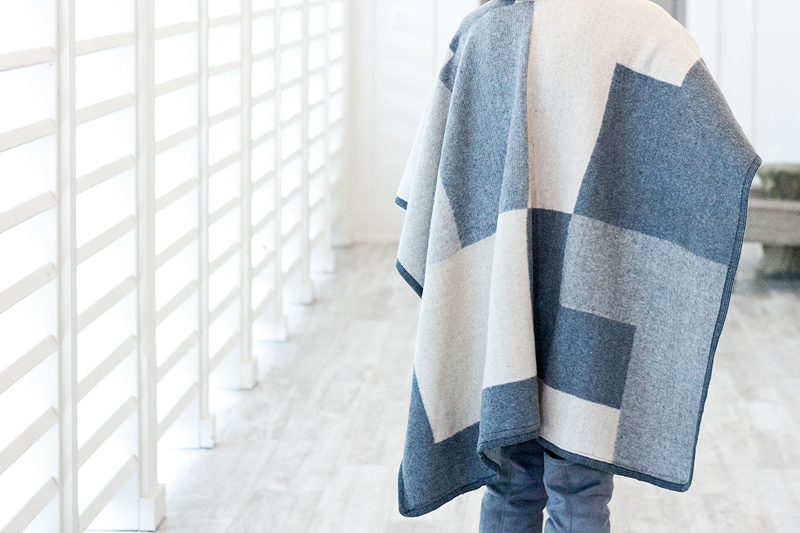 Colorblock poncho c/o Sole Society. Mod neck ribbed knit sweater (sold out but similar here and here) c/o F21. Dark acid wash denim by Just USA. Gray suede over the knee boots (old but similar here, here and here) c/o Charlotte Russe. That cape is so cute and cozy and it look so good with those boots!